Where to go hiking/walking on Kullaberg? It is quite easy to find your way around Kullaberg. From Arild to the lighthouse on the north side there is a blue marked trail. From Mölle to the lighthouse a red trail. A few yellow connects these two on a number of places. Were to park on Kullaberg? 200m before the lighthouse there is a concrete plattform, just before it you go down to the left (south) for an approximately 50m long downhill. After that, the road to the Silver Cave is marked with arrows in the ground. We recommend that you turn around at the silver cave and go back the same way. Would you like to go further, please check if there are bookable tours on “private” above. If you are a larger group, please contact us on companys / bigger groups. With its almost 200m above sea level, Håkull is a given hike! The walk up can be quite challenging but the view makes it worth while. Our tip is to park at Himmelstorp and then go blue over the saddle towards Håkull. Challenging and beautiful! 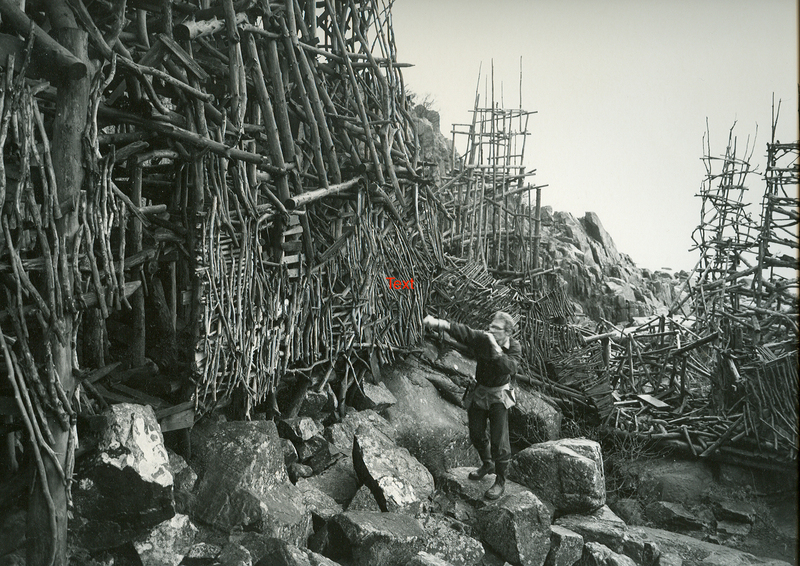 One of the biggest “land-arts” in Northern Europe, Nimis was built by just one man. This is a really stunning site. Well recommended! Park at Himmelstorp, then walk towards the saddle, following the blue trail NV, about 200m before it begin to climb follow the steep path down right to the water. Look for “N” markt on trees. This is a pretty tough walk. Be very careful if you climb the artwork. We wold recomend you not to.